The externals are as simple as possible for the function provided. An MQTT bridge, to allow Mosquitto to connect to other MQTT servers. The ability to secure communications using SSL/TLS. Mosquitto keeps up to date with any MQTT specification changes, for instance the outcome of the OASIS MQTT specification standardization. 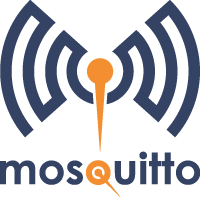 Mosquitto adheres to the protocol specifications and standards as closely as possible, so it may be used in conformance testing. Any included non-standard behaviour is optional.